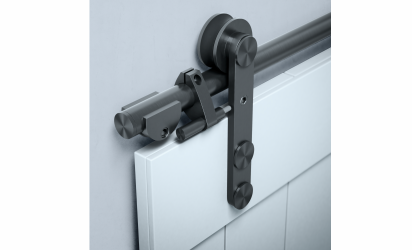 Sealed precision bearings and nylon inlaid tyre ensure Brio’s Open Round Rail Wood systems offer high performance and smooth operation every time. 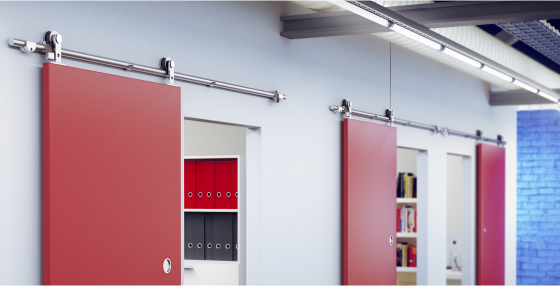 The 304 stainless steel rollers and rail are available in brushed stainless or in our new PVD Black finish. 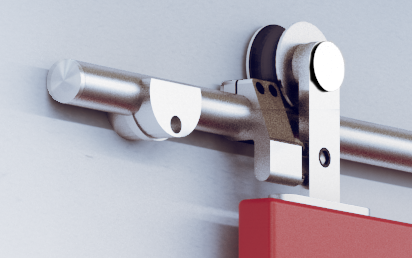 Our new Soft Stop accessory provides an added level of quality while maintaining a heavy duty appearance on wooden panels up to 220lbs. A multitude of guide options make Brio’s Open Round Rail Wood systems versatile for any situation. 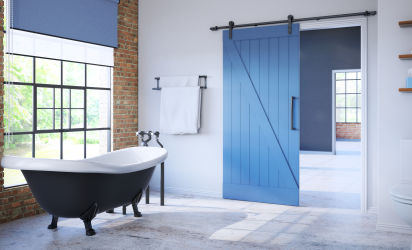 Brio’s new Open Round Rail system offers face fix hangers for a contemporary aesthetic for any application with timber panels up to 1 9/16″ thick. 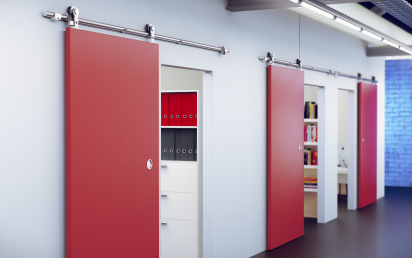 With easy installation and exposed rail design, Brio’s top fix hanger is an exciting solution for home or office applications with panels up to 1 3/4″ thick.